Home > Knowledge Center > Can I Pressure Wash or Power Wash Artificial Turf? 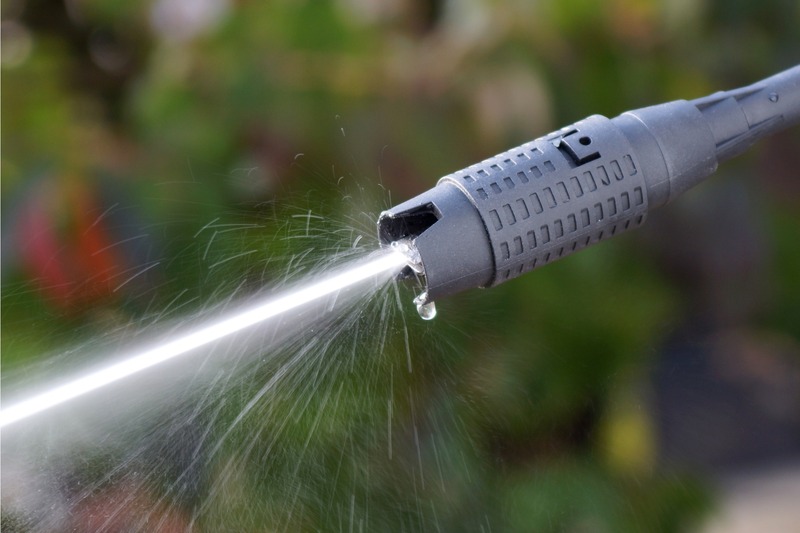 Power washing is an effective, easy way to clean a variety of outdoor surfaces. Pressure washers are widely available for purchase and easy to rent at larger home improvement stores and tool rental yards. They are also relatively easy to use and require no special skills for basic usage. Together, all of these things can make power washing an appealing choice for cleaning everything from house siding to decks to driveways. And, in some cases, folks might be wondering if they can even pressure wash artificial turf. Synthetic lawns are easy to maintain and require none of the mowing, aerating, irrigation or fertilizing that are necessary to keep natural grass looking its best. Their minimal maintenance requirements are among the top reasons so many homeowners are beginning to choose artificial grass over natural grass, as well as the opportunity to save water and have a lawn that looks lush and green even if you have dogs or live in an area with freezing temperatures or snow. Artificial grass cleaning and maintenance typically consists of using a plastic rake or broom to remove leaves — or a garden hose to spray off dust and debris — and using a brush, broom or rake to occasionally fluff the blades if they flatten. In most situations, homeowners can perform these tasks about once a month. If you live in a particularly dusty area or have a lot of falling leaves, you may need to perform this task more often. For those who have pets, it is also necessary to pick up solid waste and rinse off liquid waste regularly. This cleaning routine works for most folks, but there may be times when you feel the need to step up your cleaning and use something more powerful than a garden hose. This is when most people start wondering about whether or not it is possible to power wash artificial grass. Can I Power Wash Artificial Turf? Pressure washing synthetic grass is a relatively common means of cleaning for artificial grass that does not have infill. In this case, as long as you use a wide-angle tip and keep the wand at least one foot from the surface, there should not be any issues. It is best to maintain the spray at an angle to avoid spraying directly towards the ground. Doing this also serves the dual purpose of cleaning and fluffing your grass at the same time. 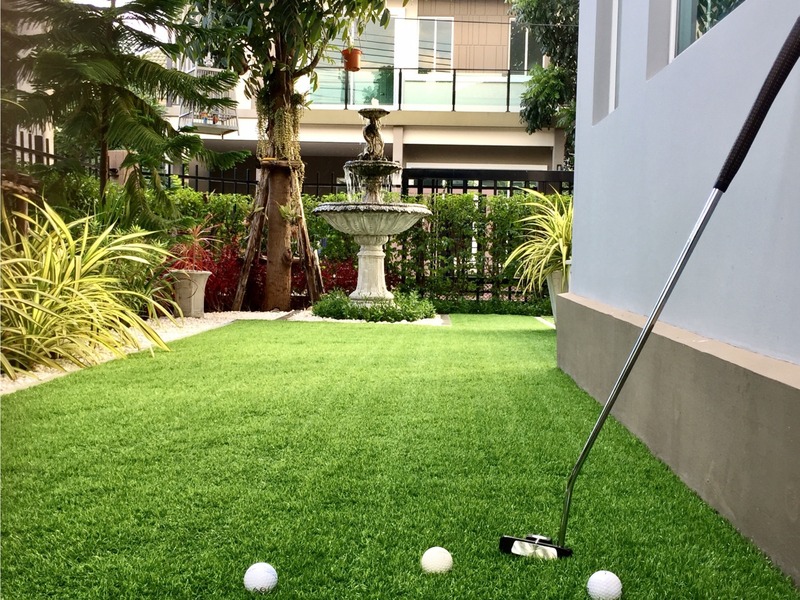 However – and this is a big however – most homeowners have artificial grass with infill. 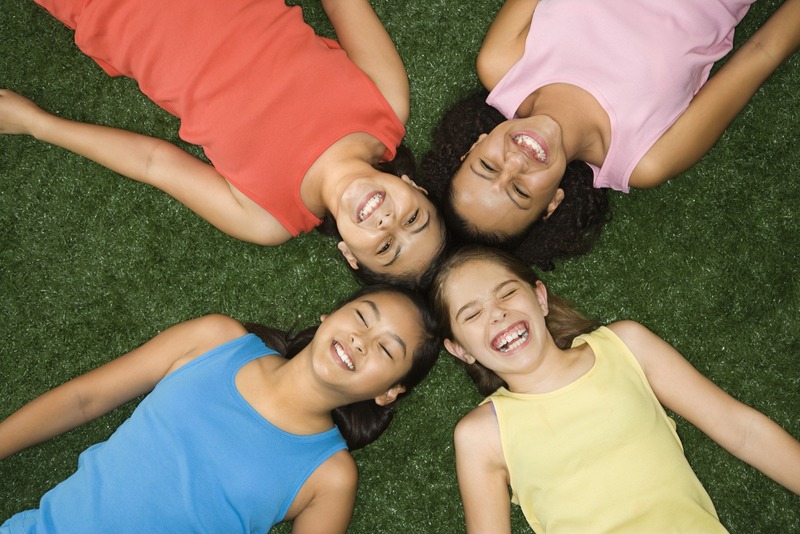 The infill in your lawn is an important part of creating that soft, natural feel of grass, providing a bit of cushion when children fall while playing, protecting your lawn’s backing material, weighing down your lawn to prevent wrinkles, and keeping your grass blades standing erect. Anything that does all of those jobs is clearly important to the ongoing integrity of your lawn and your enjoyment of it, so you would certainly not want to do anything that could take away from that. This is why you may want to think twice about power washing artificial grass. It is a fast, easy way to remove dust and debris. It may remove smaller debris that is difficult to remove with a broom or rake. It is an easy way to fluff your lawn to make flattened blades stand erect. It may assist in eliminating odors from pet urine. You can add mild soap or distilled white vinegar for more cleaning power. This may be a more effective way to remove pet hair from grass. 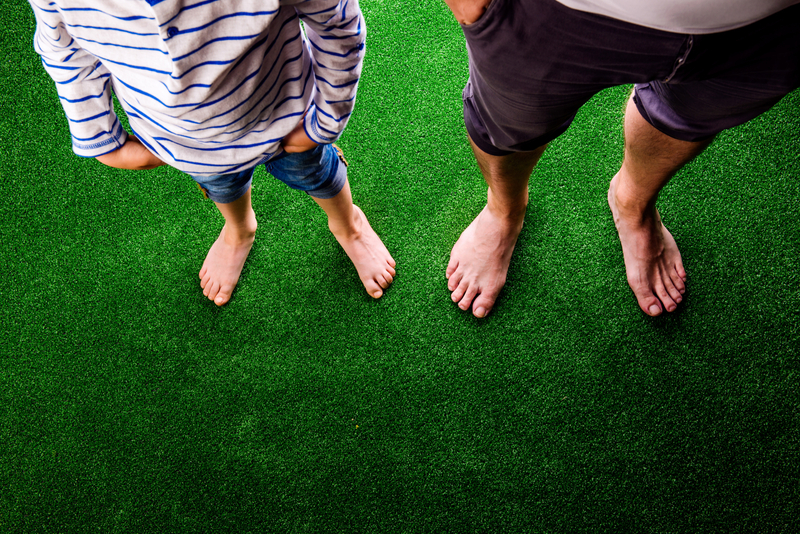 Since most folks are at least partly drawn to artificial grass because it is a low-maintenance landscaping option, it is easy to see how these potential benefits could be quite appealing. Power washers can cause injury or damage to people and property that may be in the area. Runoff from pressure washing your lawn could end up in the storm drain or flowerbeds. It could move or completely remove some or all of your infill. 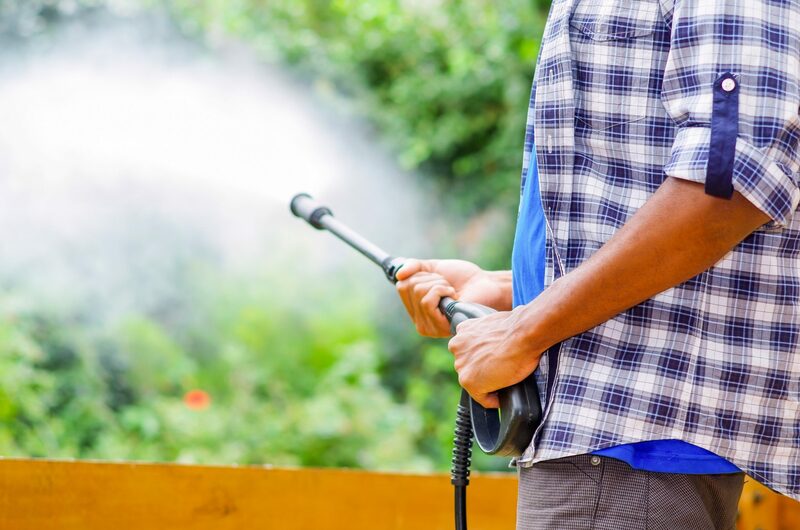 Pressure washers, by their nature, are potentially dangerous – much like many other power tools that are used in completing home repairs or in landscape maintenance. Therefore, while it is important to point out that there is potential for injury or for damaging property, the danger here is on par with or less than the potential danger from some other tools and equipment. Considering the potential for injury should always be part of your decision-making process when deciding whether to hire a professional or take on a project yourself, and that is why it is mentioned here. The runoff from using a power washer is usually only an issue if you are cleaning up chemicals or if you are using harsh cleaning solutions. In these cases, you would need to make sure that the water did not drain into a flowerbed, garden, natural grass lawn or storm drain. As for your infill, a power washer in the wrong hands can absolutely devastate its integrity. Pressure washing fake grass with infill is very likely to displace the infill and could even remove a large amount. This displacement will result in some areas having little to no infill, while other areas of your lawn will have too much infill. This will lead to an uneven surface where some areas will be almost or completely void of the soft, cushiony feeling that we all want in a lawn, while other spots will have lumps. One of the benefits of installing synthetic turf is that it provides an even, level surface on which guests can walk and children can play. This means fewer tripping hazards than you will find with natural grass. One bad round of power washing can change this and leave you with a lumpy lawn. So while there might be some appealing benefits linked to pressure washing fake grass, it may not be worth the risk of losing or displacing your infill. We do not want to scare you off of power washing your lawn, since this can be a fast, easy, effective way to clean it, but we do want you to be aware of the potential issues with your all-important infill. If you want to use this cleaning method, the best thing to do is to find a professional pressure washer who has experience power washing synthetic turf. An experienced grass cleaner will understand the importance of maintaining the integrity of the infill and will know how to clean the grass with minimal infill displacement. Remove toys, furniture and other objects from the area (remember that the water stream can strip paint and break glass). Remove solid waste, such as dog waste, before pressure washing your lawn. Consider adding distilled white vinegar to the pressure washer when cleaning pet restroom areas. Adding a little dish soap or other mild soap may help with cleaning tougher areas. Avoid harsh detergents and chemical cleaning solutions. Use a wide-angle spray nozzle to finish the project faster and help avoid displacing infill. Do not point the stream of water directly at the ground, as this will displace infill. Maintain the spray at an angle to avoid damage and push the debris to the edge of your lawn for disposal. Keep the nozzle at least one foot away from the surface of your lawn. Using a wide-angle nozzle, spray your lawn in the opposite direction of the pile to fluff the glass.